This tomato tart is a lovely dish. 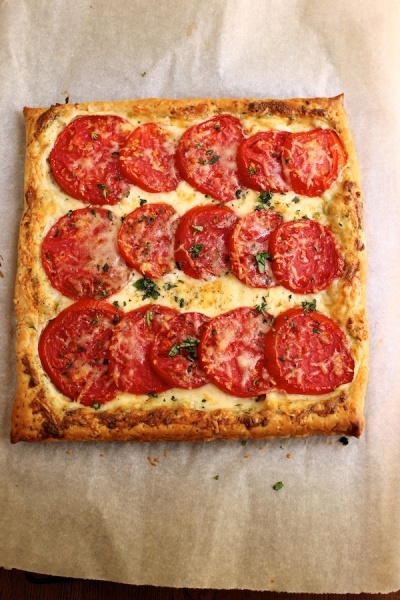 A cheesy tomato tart. A lovely, tasty tart that’s easy to put together and it looks very impressive when it comes out of the oven.